In early drafts of Mrs Sinclair’s Suitcase, books didn’t really play much of a role. My protagonist, Roberta, works in an independent bookshop. She finds things in books that she squirrels away for her own amusement – letters, cards, notes, postcards, photographs, receipts. She also enjoys reading inscriptions in old books. I worked in an indie bookshop myself and found all of these things, and it was fun, and sometimes moving, to find forgotten items. I’d found an agent and my novel was going through the submission process, and an editor (who did not, in the end, take on the novel) suggested I show some of these snippets of things found in books, perhaps at the start of each chapter. She felt, rightly, that I didn’t make enough of these finds in the novel, even though Roberta states clearly in the first chapter how much these things mean to her. I had a think about it, and I realised this device would also work as a useful marker in my dual-timeline story; so, in the finished novel, at the beginning of each contemporary chapter, there is a letter, or an inscription, or a description of a photograph, and Roberta tells us in which book she found these items. It’s an idea I can’t take credit for (damn!) and it has proved to be a popular part of the story, with several early reviewers saying they enjoyed this aspect of the novel. It was a lot of fun choosing the books. I chose some simply because they are old favourites and I wanted to mention them. Those were Jane Eyre by Charlotte Bronte, Madame Bovary by Gustave Flaubert and The Death of the Heart by Elizabeth Bowen. All of these novels have stayed with me and I return to them periodically. I included Black Narcissus by Rumer Godden because she has long been a favourite author of mine, and I really wanted to mention one of her wonderful novels. Black Narcissus won because it is a very grown-up, mysterious, intriguing novel and the title is fantastic. Who could resist? Hilda Boswell’s Treasury of Nursery Rhymes was an important book throughout my childhood, and it’s one of the very first books I can remember reading. All those evocative illustrations and wonderful nursery rhymes… it had to be in there. I chose The God of Small Things because I found a sweet inscription inside a copy when I worked in the bookshop and it’s a book I enjoyed reading. Also, the title sounds good. Likewise A Bouquet of Barbed Wire, which I must confess to not having read yet. The title is great. I thought it would be fun to link some of the books to the themes of the letter found nestled within their pages. So I chose Men are from Mars, Women are from Venus to go with a rather vitriolic letter which I hope contains a small drama all of its own. I chose Circle of Friends by Maeve Binchy to house a letter between friends, which concerns itself with news of a recent wedding and its attendant gossip, scandal, and the rather naff-sounding nuptials which the writer enjoyed, I think, despite the tone of her letter. That was fun to write. I chose an Agatha Christie book because I love her writing, and I think The Moving Finger is one of her best stories. First edition Christies are pretty expensive, and I thought it was important to have a broad range of prices in my choice of books, just as you find in any second-hand bookshop. There is also a “missing” book. Roberta shares with us the first letter she discovered and kept, but she has forgotten which book she found it in. Some of Roberta’s finds are semi-autobiographical. The postcard written from Wensleydale at the start of Chapter 23 is similar to many I’ve sent over the years, the Yorkshire Dales being a bit of a haunt for me and my family. Some of the letters that Roberta finds are loosely based on actual letters I’ve found in second-hand books. One such letter was the inspiration for Jan – a letter written by a Polish Squadron Leader to an English couple, written on VJ day in 1945. Written in (very good) English, he writes of his hopes for his personal future, and his sadness about the future of Poland. I found myself wondering about this man. I own an old-fashioned suitcase with a name label inside that reads “Mrs D Sinclair”. I found myself wondering about this woman. And I remember cogitating: What if the Polish airman’s letter had been sent to her and what if they were lovers…? And the story took off from there. I bet many of the books I chose to mention in Mrs Sinclair’s Suitcase began with a nagging “What if…?” in their authors’ imagination. For me, that’s how story writing begins: being open to possibilities, picking something from there, and putting it here… and seeing what happens. Making worlds collide: it’s magical. Thank you to Louise – I knew this would be a really interesting piece! Mrs Sinclair’s Suitcase has a very intriguing opening. It risks revealing a lot early on but the structure of the novel feels right for this story. Protagonists Dorothy and Roberta drew me into their respective worlds; Louise conveys the World War II era and the present day, centred on the bookshop, in an involving way that invites reflection on women’s lives then and now. I loved the books and associated bits and pieces which marked the start of Roberta’s chapters and the little slices of people’s lives they show (in fact, I would have liked even more of this). Above all it’s the writing which makes this touching love story stand out – it’s fluid and assured with a warm quality and a lot of gentle humour. It’s rarely too sweet and distinctly hard-hitting when the story demands. With its portrayal of secrets, difficult choices and intergenerational relationships, this would make a great choice for book groups. 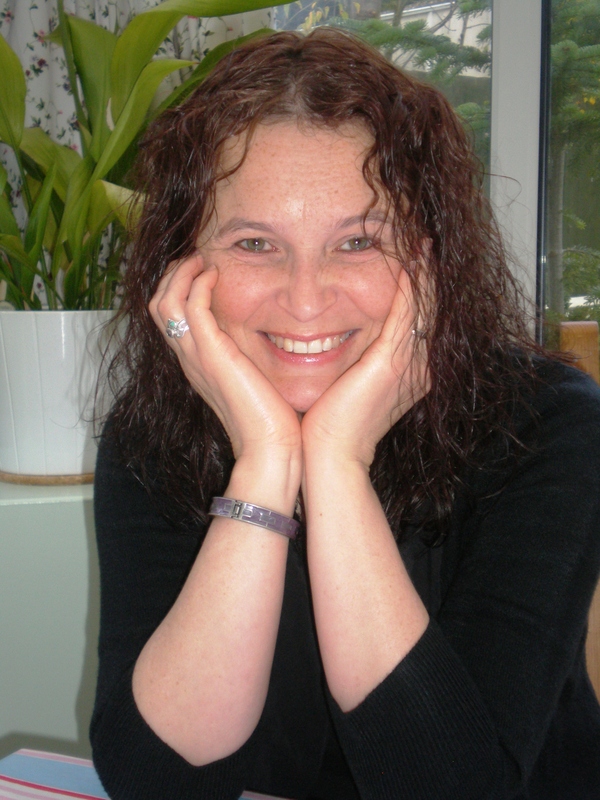 I’m juggling so many posts at the moment that I can’t say what’s going to be up next, only that in the coming weeks there will be more Writers on Location and to my delight, a New York Times bestselling author visiting the Literary Sofa, plus articles from me as and when. People keep telling me they missed things when originally posted – the easy solution is to subscribe by email – see the SIGN ME UP button at the top right of the screen. Thanks both, enjoyed this account of how your novel was put together. It sounds like a whole set of suitcases and look forward to reading. Glad you enjoyed, Anne! I didn’t have to think hard about which topic to ask Louise to write about. Like you Isabel I’ve had the pleasure of following Louise’s publishing journey over the last couple of years via Twitter and her blog but haven’t been lucky enough to meet her in person. It has been inspiring to see one of our peers achieve their dream and Louise deserves every success with her debut novel. I won a proof copy of Mrs Sinclair’s Suitcase and found it to be a very heart-warming story where I cared about the characters and would love to read a sequel or whatever Louise is writing next. Thanks for the lovely comment, Helen. I bet Louise will de delighted to know that. Louise is delighted to know that, thank you so much Helen. That’s not the first time a sequel has been mentioned! A lovely account of the genesis of the book. 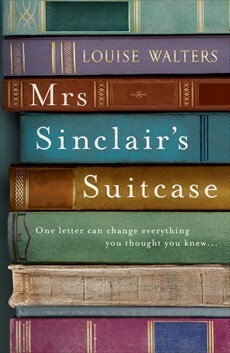 Mrs Sinclair’s Suitcase has gone straight onto my reading list. (Well, it was there anyway, but it has a big star next to it now.) And thank you, Isabel, for another treat from the sofa. Enjoy the book, John (I’m sure you will) and many thanks for being such an appreciative Sofa reader!